Liv, or Die Trying. Edmonton Residential Real Estate Brokerage Rebrands Itself . Edmonton’s changed a lot in the last 30 years. There are beautiful boutiques, fine dining, great coffee. All the perks of living in a big city without the fast pace one might expect. The kind of change that lets you get more of what you love and still make it to soccer practice after work. Liv Real Estate is all for that. With its lofty mission to become the most respected and sought-after residential real estate brokerage in Edmonton, the 37 year old Johnston Team firm (now Liv Real Estate), cut its ties with Coldwell Banker. 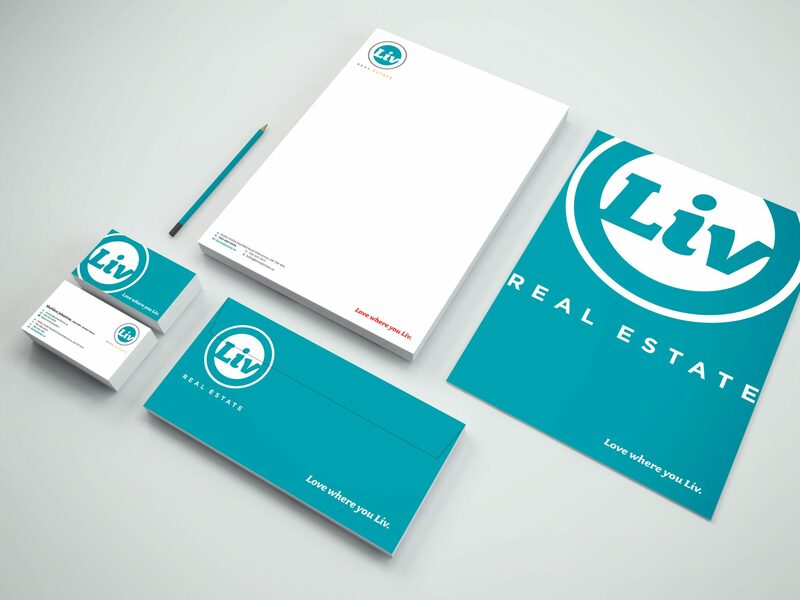 Liv offers a fresh perspective on real estate with a new outlook on dotted lines and traditional relationships between agents and homeowners, as they take the artifice out of the transaction and the bus bench out of the relationship. No brown jackets. No hot air balloons. No crusty salesmen. Just honest, reliable, positive and proactive people doing what’s right for their clients. 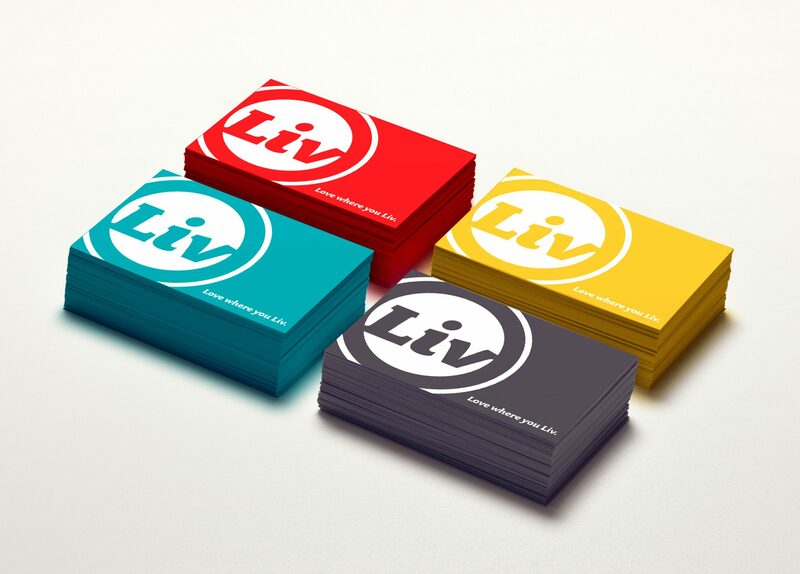 Urban Jungle was hired to develop Liv’s brand strategy, including its tagline and brand story. After clarifying its vision and defining its mission, values, personality, promise, experience, Urban Jungle then crafted the new corporate identity for the firm. The new look is simple, bold, and contemporary. It captures the essence of the firm’s fun and friendly personality while communicating its promise to help Edmontonians love where they live.